Phantom Farm Pet Motel is family owned and operated and we live on the premises unlike many pet motels whose owners leave the animals for the night! 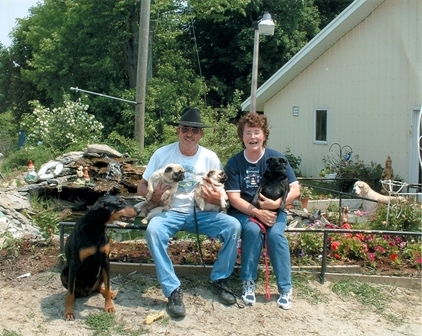 We've been providing the North Country with affordable pet care since 1996. Our goal is offering your canine and feline family members a safe and fun experience while you are away. We think of it as a fun vacation for your pet!! We have many special features to offer such as radiant heat, air conditioning, super-sized play yards, free playtimes, free administrating of medicines, free attention with lots of petting, and we are a green facility with solar energy and wood outdoor boiler for heat. We are fully equipped for any emergency with automatic generators and our dedication to fire safety. Copyright © Phantom Farm Pet Motel. All rights reserved.